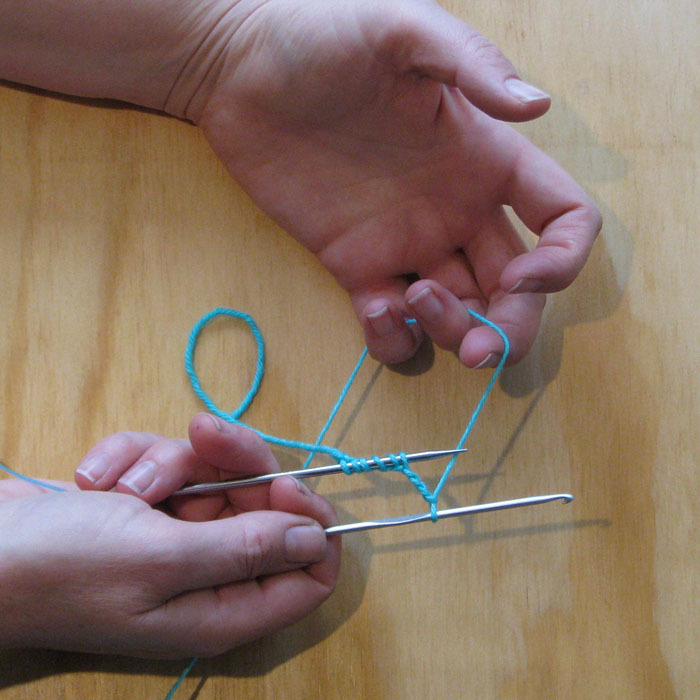 This is a provisional cast on technique using a crochet hook. 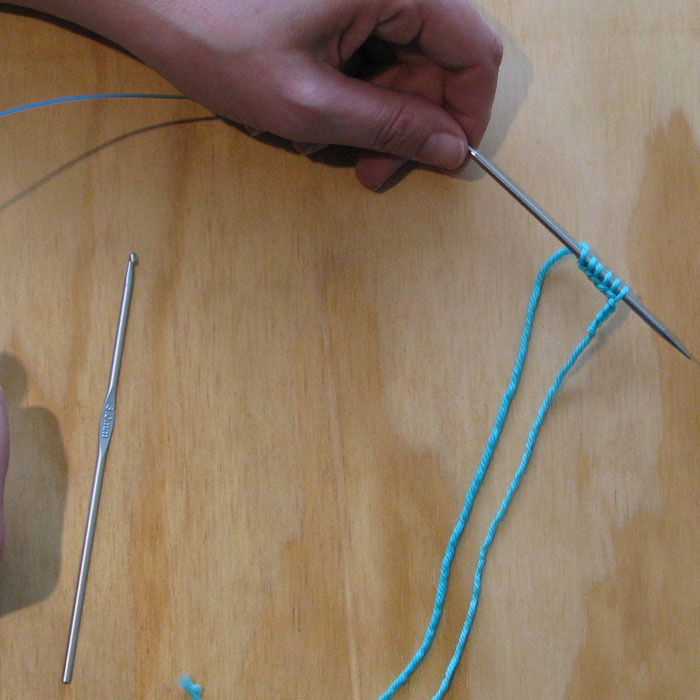 A provisional cast on is useful to create live stitches on the cast on edge, later you may come and unravel the cast on yarn to pick the live stitches up to continue knitting, or to join with. 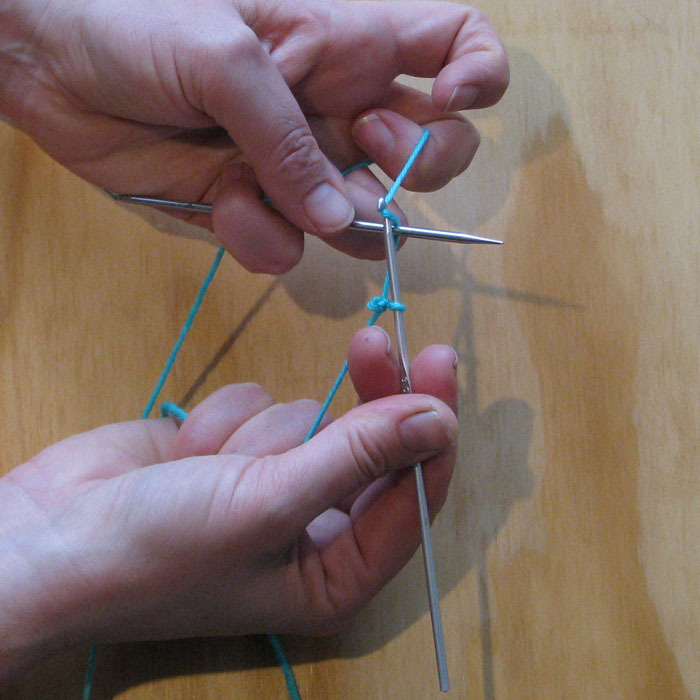 Tools: knitting needles – size required for your project. Scrap yarn – similar to your project yarn. 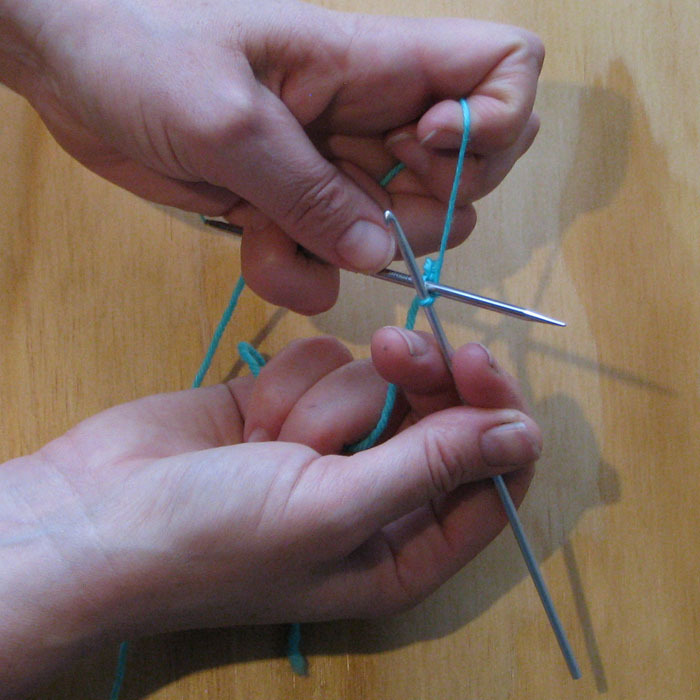 Crochet hook – similar size to your knitting needles. 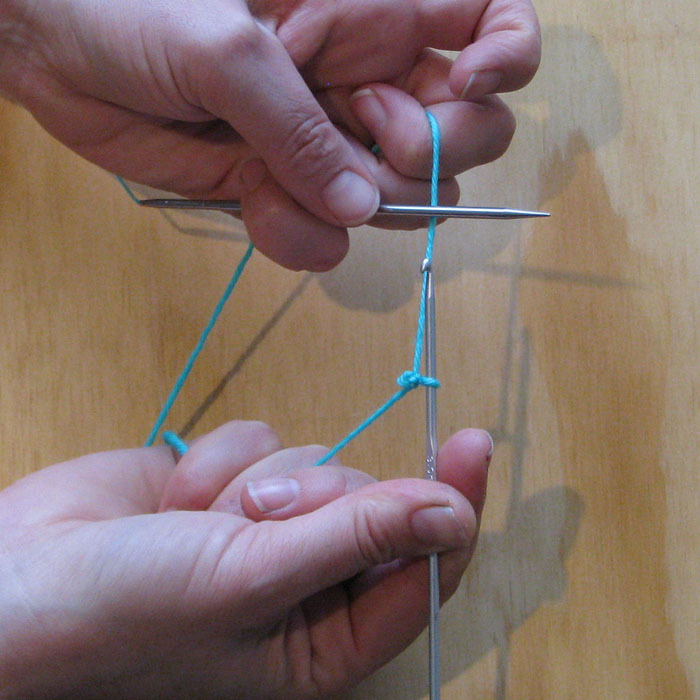 reach across the front of the needle with your hook and pull through to make a stitch. Leave the stitch on your needle keeping the loop on your hook for the next stitch. 1 stitch cast on. 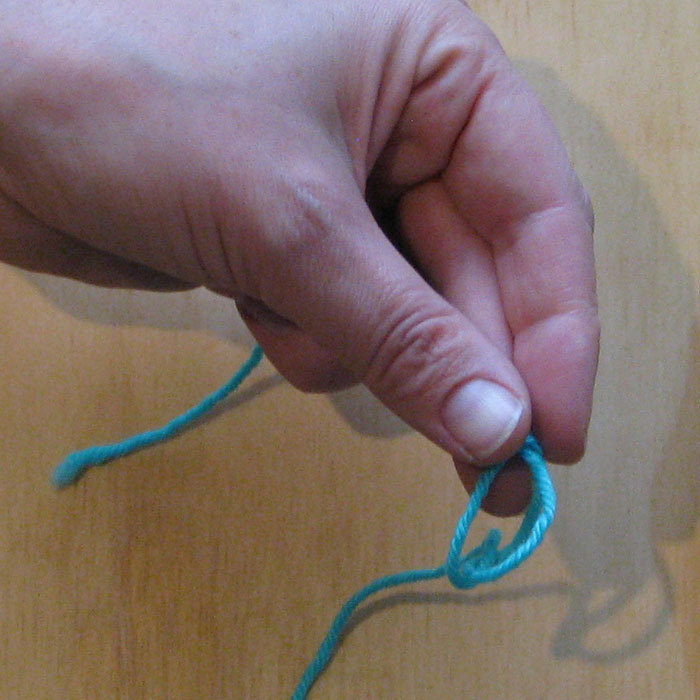 make a short crochet chain at the end so you know which end to undo later. 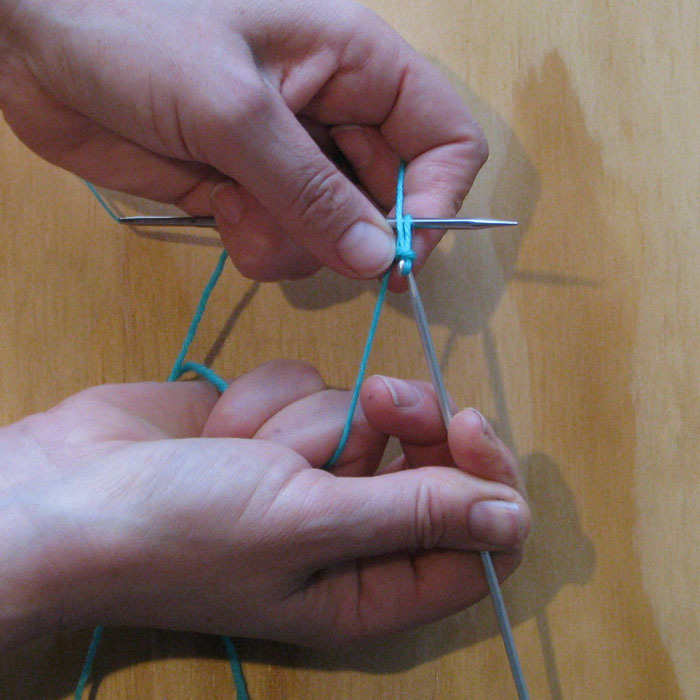 pull the yarn through the loop to close. voila! now knit your project, you have provisionally cast on!